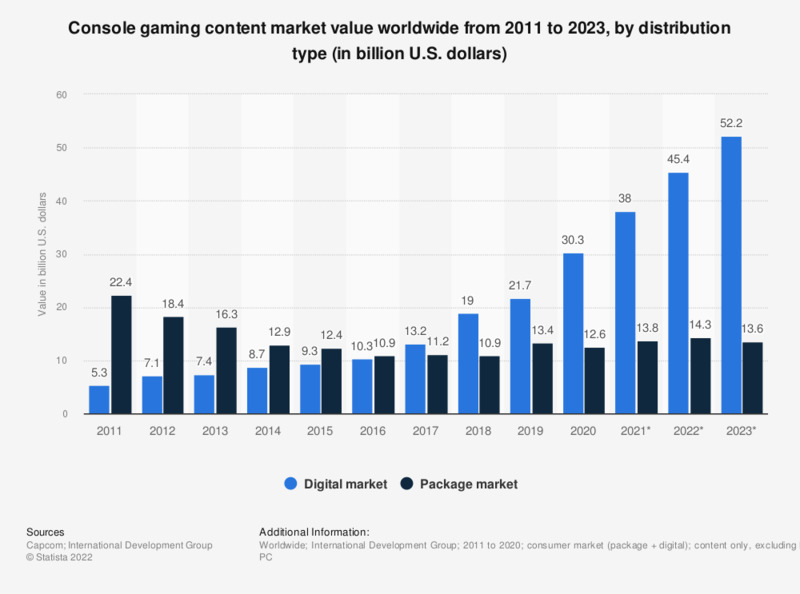 This statistic shows the value of the video game consumer market, both package and digitally distributed, worldwide from 2011 to 2017 and offers a forecast until 2020. The packaged market value in 2017 amounted to 11.2 billion U.S. dollars, up from 10.9 billion a year earlier. Recent video game sales revenue information can be found here. DLC stands for 'downloadable content'.